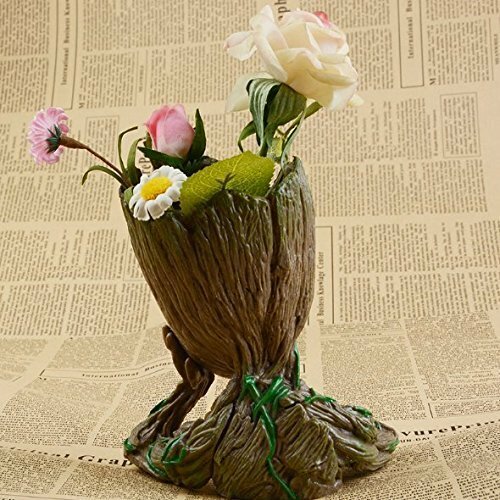 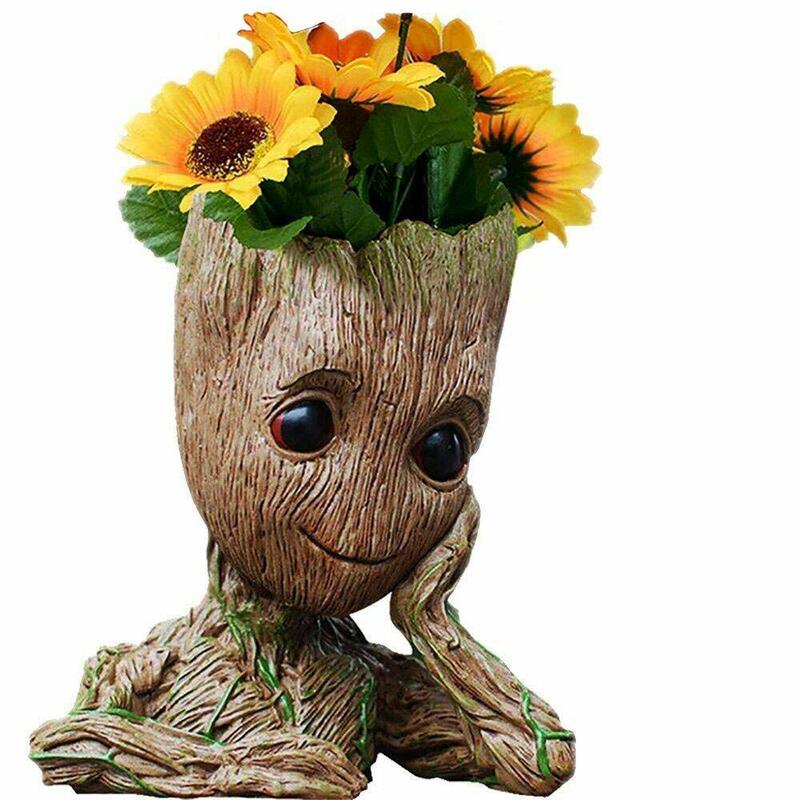 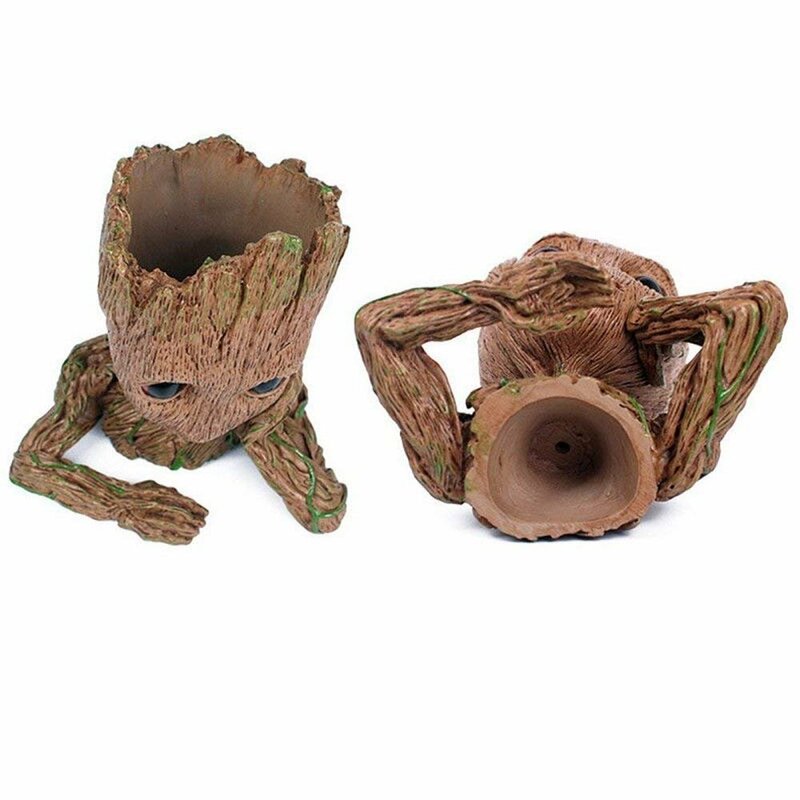 Best Halloween Gift Baby Groot pens Holder Organizer or Succulent Flowers Pot with Drainage Hole The Guardians of Galaxy Tree Man Action Figures 6"
All of my "big" kids are Gardian of the Galaxy fans, so this is going into my Daughters classroom. 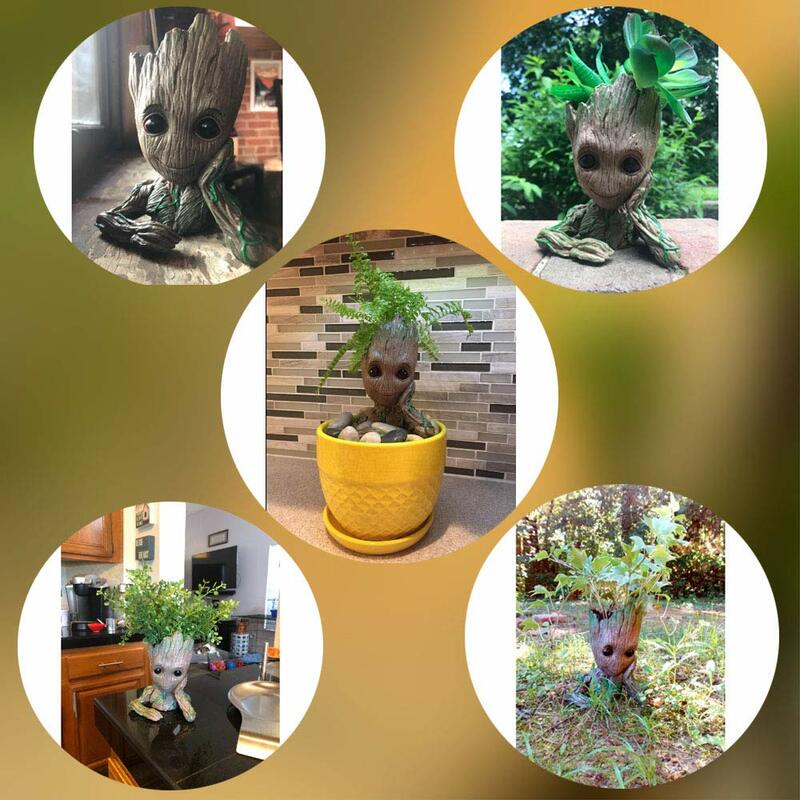 She teaches high school literature and she welcomes anything that might spark conversation among her kids. 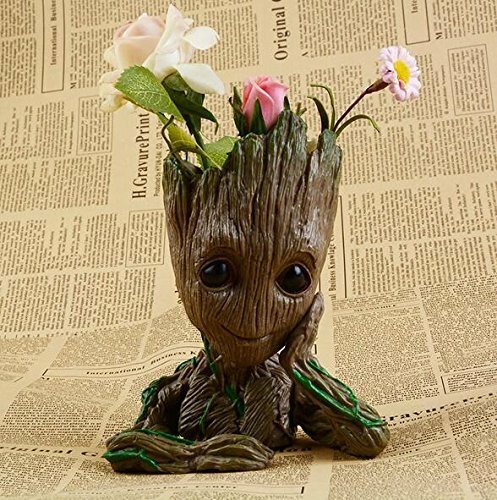 Plus, it's just darn cute! 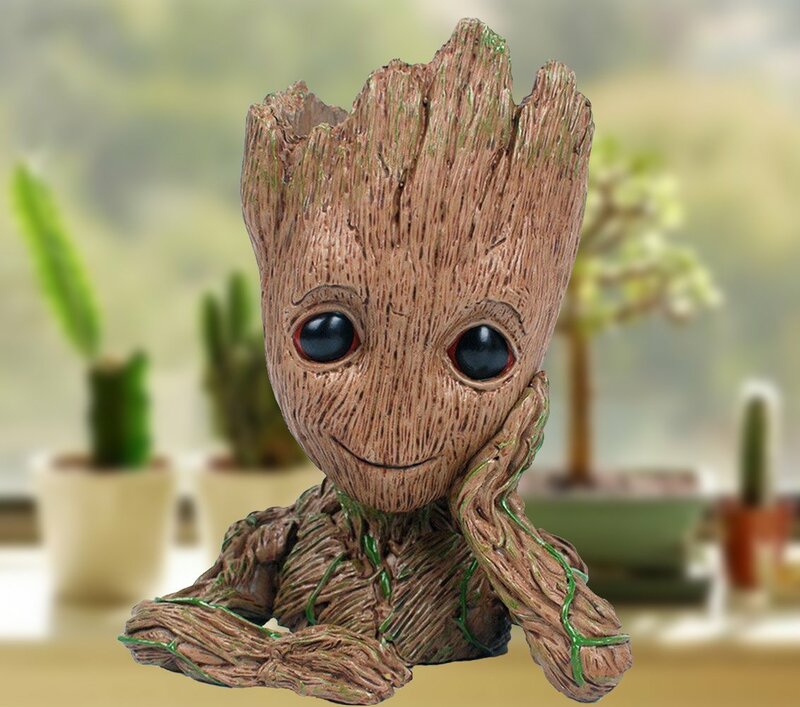 It's made from very durable materials because it came in just a flimsy envelope with little or no packing and it was just fine when I got it. 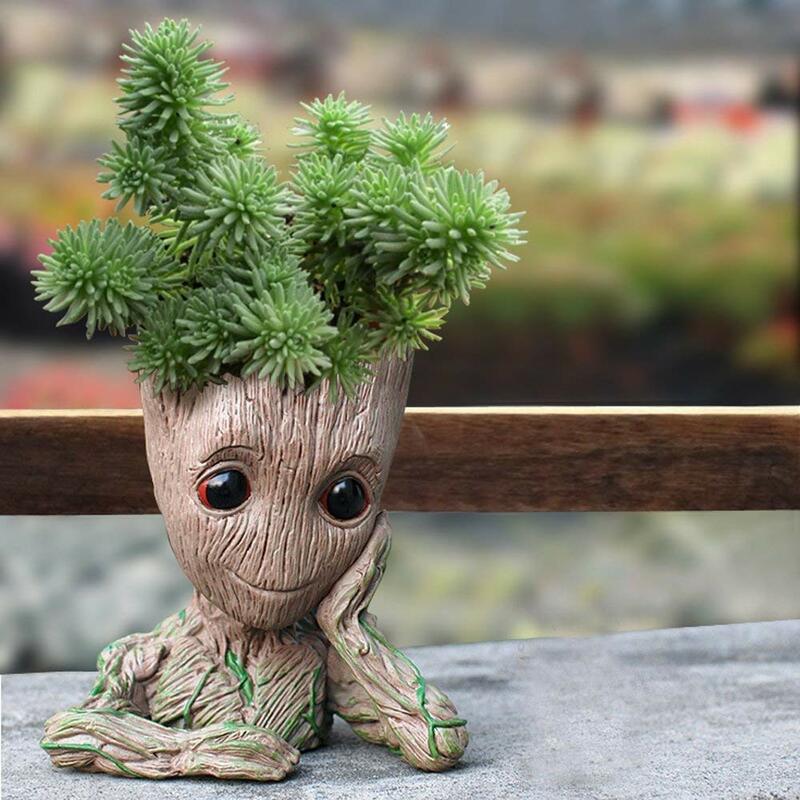 So, cute and durable!